Scholars have examined representative bureaucracy as a viable means to achieve bureaucratic responsiveness in a democratic society. The theory argues that passive representation or the extent to which a public service mirrors the social demographics of the entire population will lead to active representation where bureaucrats press the interest of groups with whom they share similar identities. The fundamental assumption of the theory is that individuals who share similar social origins or demographics will also share similar socialization experiences. These experiences can lead to the formation of similar attitudes/values, which can influence bureaucratic behavior. 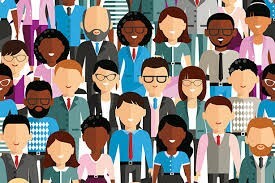 For example, an extensive body of empirical research has shown that increasing the presence of minority bureaucrats in public institutions translates into policy outcomes that systematically benefit the minority populations. While the theory of representative bureaucracy does not explicitly argue that men and nonminority bureaucrats cannot serve the interests of women and minority populations, it implicitly affirms this position. The assumption that passive representation or a critical mass of women and minority bureaucrats is necessary for active representation to occur suggests a bureaucracy that is not descriptively representative in the passive sense cannot be responsive to all sections of the population. While not discounting the symbolic effects and substantive benefits that could be gained from a democratically representative bureaucracy, it is important to note the theory has so far not fully engaged the question of whether or how nonminority bureaucrats can be responsive to minority populations. Neither has it fully addressed the question of partiality raised by Frederick Mosher in his book “Democracy and the Public Service” and reiterated more explicitly by Hong-Hai Lim in a 2006 Public Administration Review article titled “Representative Bureaucracy: Rethinking Substantive Effects and Active Representation.” These questions warrant systematic empirical consideration. Of course, some scholars have touched on the first issue only tangentially. For instance, as Harry Kranz stated in his book “The Participatory Bureaucracy: Women and Minorities in a more Representative Public Service,” one of the benefits of passive representation is “the minorities’ very presence in the agency would enhance the majority group’s understanding and responsiveness.” In his article mentioned above, Hong-Hai Lim also described an indirect effect of passive representation where minority bureaucrats check, constrain and help to re-socialize nonminority bureaucrats to be sympathetic toward minority clients. Similarly, in their 1998 Political Science Quarterly article titled “Representative Bureaucracy: The Theoretical Implications of Statistical Interaction,” John Hindera and Cheryl Young found empirical evidence that when minorities are the plurality, nonminority bureaucrats tend to produce policy outputs that benefit minority clients. All of the foregoing suggests that the potential for active representation is not only a function of bureaucratic social origins, but also the extent of “attitudinal representativeness.” Given the right conditions—i.e., sensitization, resocialization and orientation—nonminority bureaucrats could equally develop advocacy roles and be responsive to minority clients. It seems reasonable therefore for a normative theory of representative bureaucracy to not only focus on the substantive benefits that could be derived from the passive representation of minority groups and women, but also how factors other than social origins can shape bureaucratic attitudes and behavior. In this regard, the concept of minority representative role developed by Sally Coleman Selden in her book “The Promise of Representative Bureaucracy: Diversity and Responsiveness in a Government Agency,” is very promising for theoretical expansion. The author developed a model that allows a full specification of how factors such social origins, bureaucratic socialization, role expectations, role perceptions and so on influence bureaucrats’ adoption of a minority representative role and how that, in turn, influences the potential for active representation. The model also allows scholars to employ primary survey data and shift the unit of analysis from the organizational level to individual bureaucrats. A major strength of this approach is that scholars are able to test the possibility that nonminority bureaucrats can also develop attitudes that engender responsiveness to minority interests. One implication is that reforms based on representative bureaucracy should not only focus on passive representation, but also policies that encourage bureaucratic attitudinal changes and sensitivity to the needs of minorities. Another implication is that the theory of representative bureaucracy will become more relevant in developing democracies where the representativeness of the public bureaucracy is difficult to attain due to cultural, socio-economic and political reasons. In addition, examining the attitudes of individual bureaucrats helps to overcome the ecological fallacy usually associated with aggregate level analyses, which are very common in this line of research. The minority advocacy or representative role also offers a theoretical avenue to address the issue of partiality empirically. To the extent that men and nonminority bureaucrats make the necessary attitudinal changes to voluntarily assume the minority representative role and become responsive toward women and minority clients, the reverse effects of active representation by minority bureaucrats should diminish. This is plausible because in accepting the minority representative role, nonminority bureaucrats not only develop an empathic understanding of minorities, but also an appreciation that representing the interests of underrepresented and marginalized groups is both ethically right and democratically justifiable. The minority representative role perception could be conceived as an avenue to legitimize a representative bureaucracy. Author: Dr. Agyapong is an assistant professor of public administration in the Robertson School of Government at Regent University, Virginia Beach. He teaches courses in public administration, public policy, organizational theory, and research methods. His research interests focus on the relationship between bureaucracy and democracy, public administration and policy implementation, bureaucratic responsiveness, representative bureaucracy, and street-level bureaucracy. He can be reached at [email protected] or 757-352-4694.